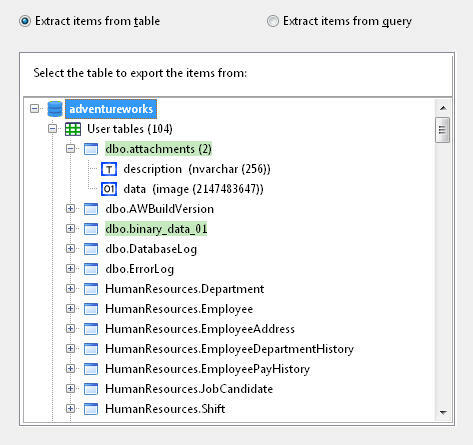 Extract all OLE Object items from a table, or use a query to select a subset of a table. Name the exported images and files using their original file names, or use values from other columns. The database object browser highlights tables containing blob fields so you can quickly identify which tables to process. • Supports PDF documents embedded using Adobe Acrobat and Foxit PDF Reader. • Supports embedded Office documents. • Supports embedded MSPaint images. • Supports embedded WordPad documents. • Supports all OLE packages. Do you have an Access database that stores your files and images in OLE Object-type fields? 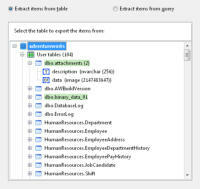 Do you have databases that contains OLE Object data exported from an Access database? Do you want to export those items out to their original format from those databases? 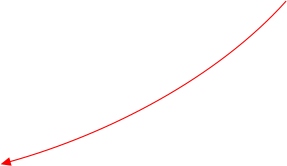 Do you want to avoid having to pay big money to your software vendor to write a custom application to extract those items? • Export settings can be saved and reused for future projects. • Connect to PostgreSQL, SQLite, MySQL, and Oracle databases without having to install any additional vendor-specific client software. • Export items not stored in OLE-Object fields as easily as those stored in OLE-Object fields. 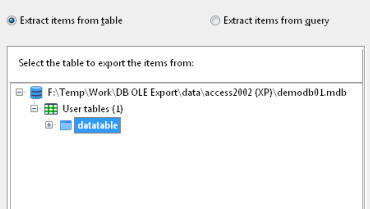 Use Access OLE Export and start extracting your data from OLE Object fields in seconds. Want to explore Access OLE Export further? Download a free 14-day trial now, take a product walk- through, or visit our FAQ page. Contact us to add support for any embedded OLE object types not listed above.